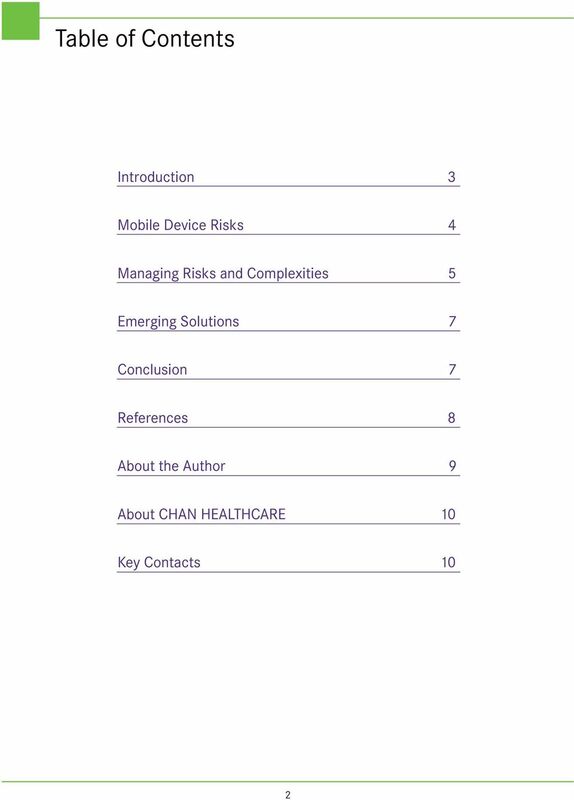 Download "Mobile Devices in Healthcare: Managing Risk. 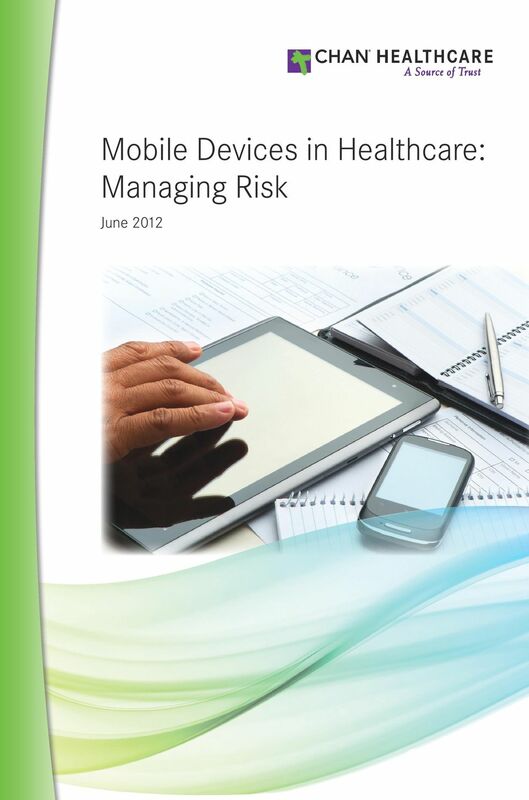 June 2012"
Mobile Device Security Is there an app for that? 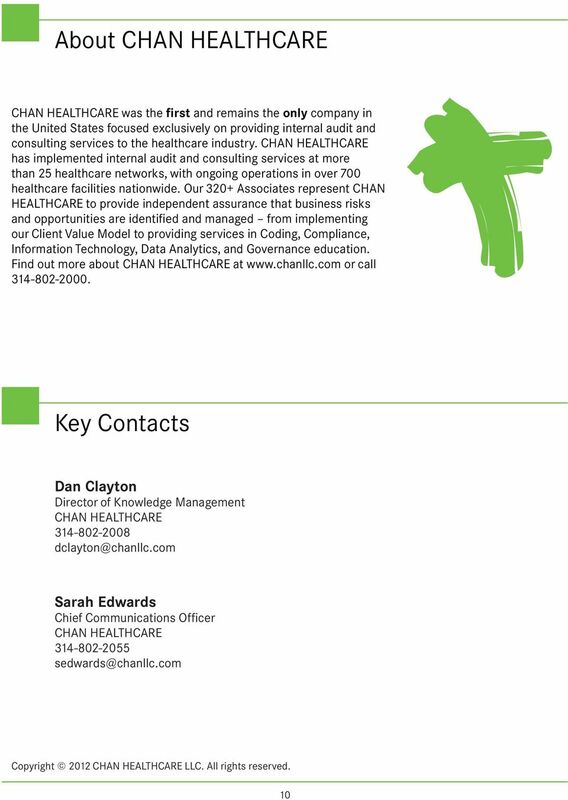 Click to edit Master title style Decrypting the Security Risk Assessment (SRA) Requirement for Meaningful Use Andy Petrovich, MHSA, MPH M-CEITA / Altarum Institute April 8, 2015 4/8/2015 1 1 Who is M-CEITA? 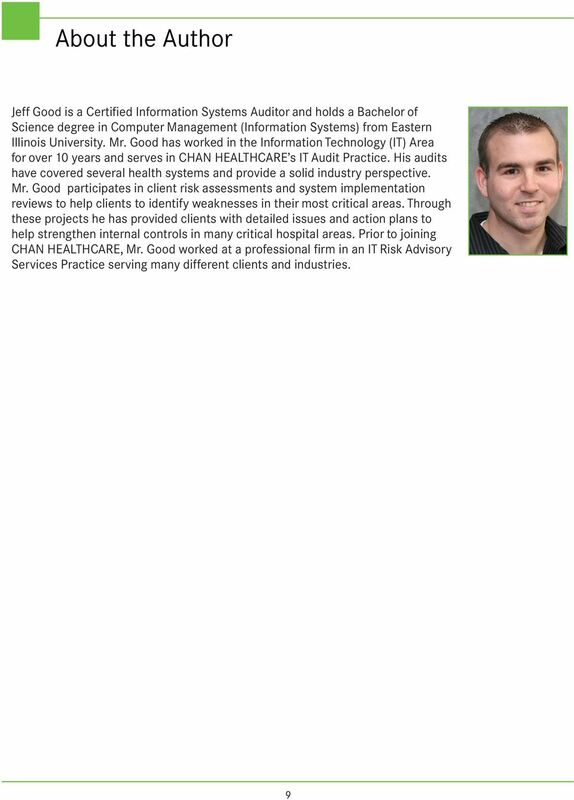 Mobile Security BYOD and Consumer Apps Adam Shnider, Managing Director, Coalfire October 16, 2012 Agenda I. 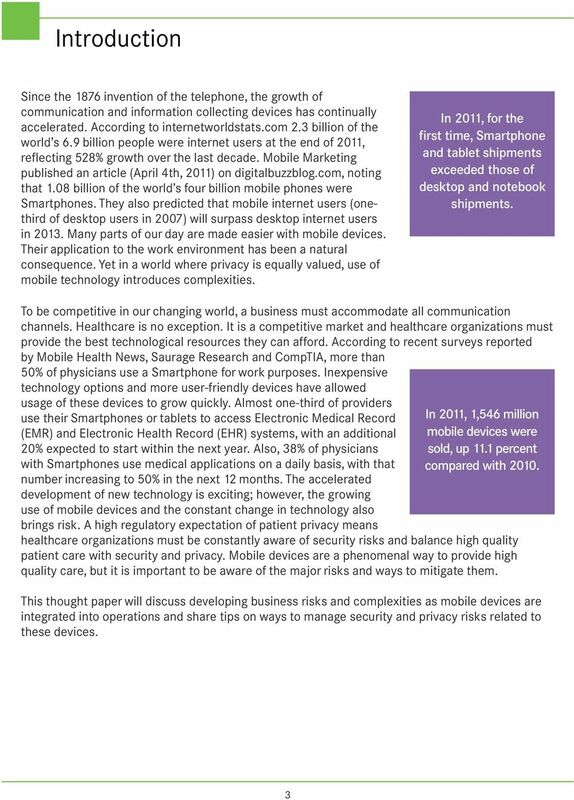 The Mobile World - Trends I. 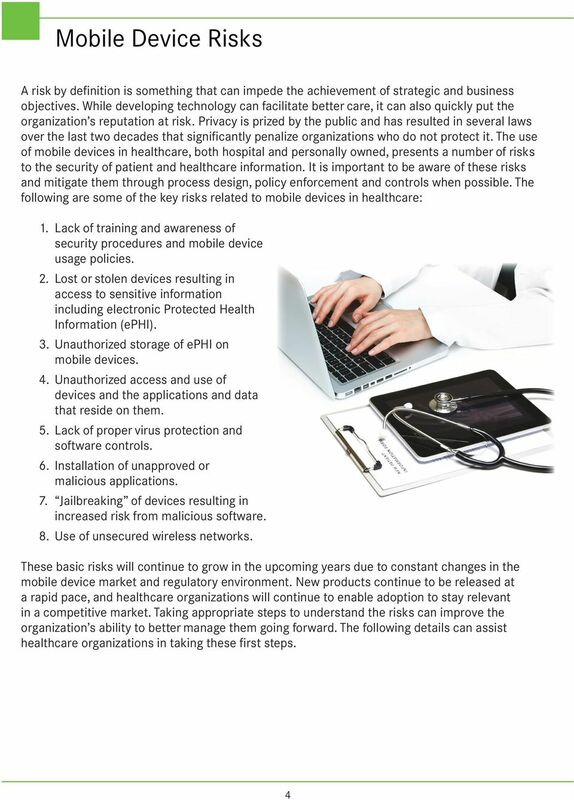 Mobile devices - threats and risks I. BYOD Security Top Five I.
Abstract Energized by the capability of consumer mobile devices employees demanded them in the workplace. 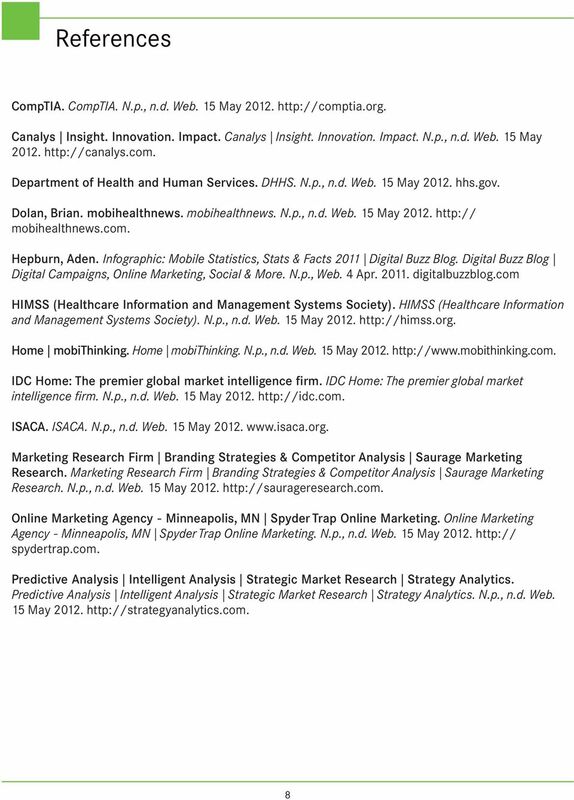 Information technology organizations had neither the time nor budget to satisfy employee demands. 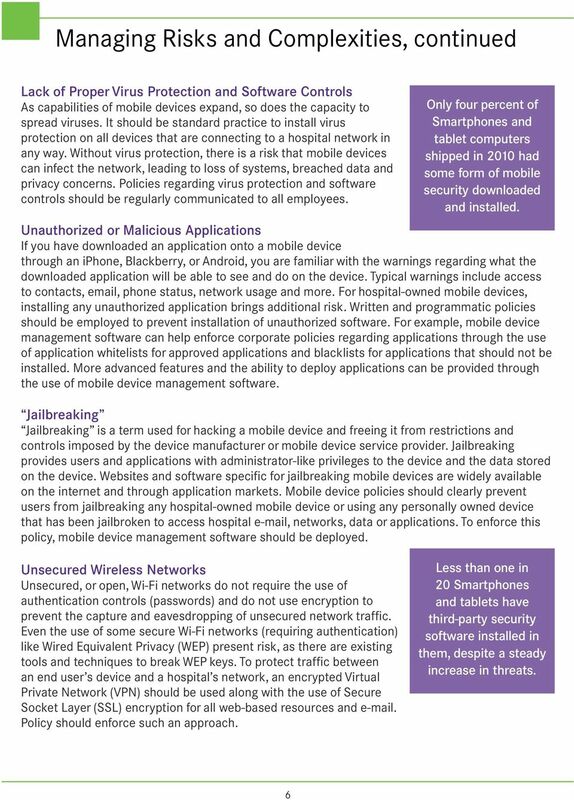 BYOD AND ME How cell phone hacking effects your business! Richard Rigby CEO Wraith Intelligence 90% of companies will offer BYOD, or bring-your-own-device options to employees by 2014, according to Gartner. 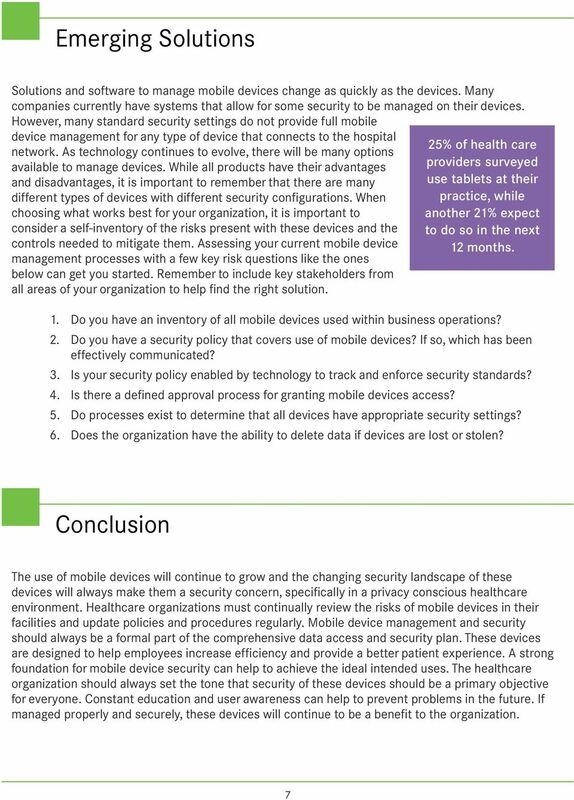 Addressing NIST and DOD Requirements for Mobile Device Management (MDM) Essential Capabilities for Secure Mobility. www.maas360. 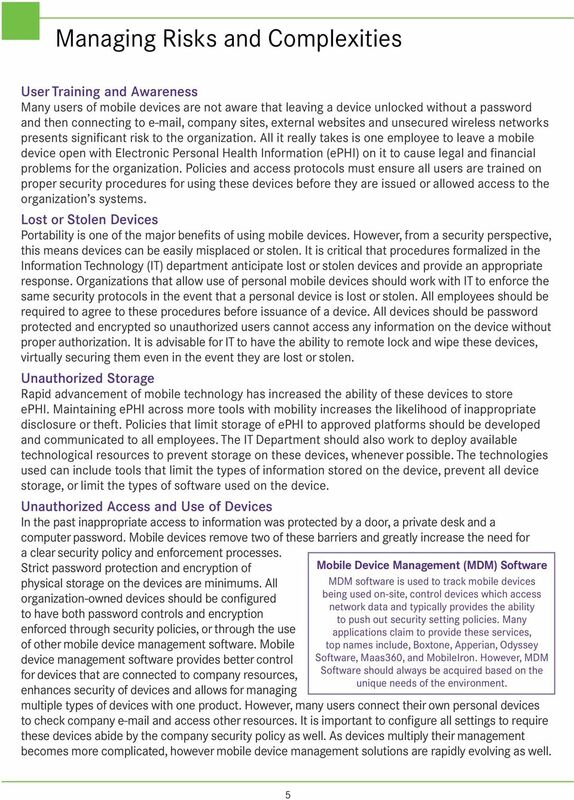 MaaS360.com > White Paper Addressing NIST and DOD Requirements for Mobile Device Management (MDM) Essential Capabilities for Secure Mobility www.maas360.com 1 Copyright 2014 Fiberlink Communications Corporation.